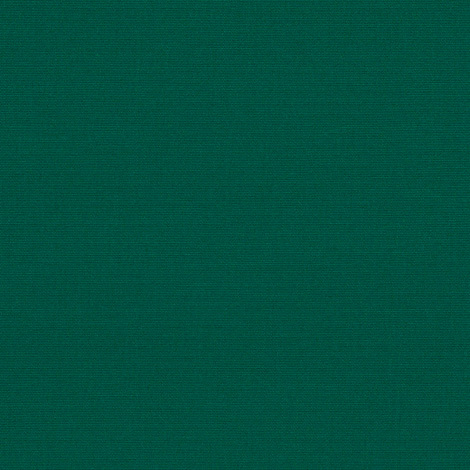 Sunbrella Clarity in Forest Green (83037-0000) is an innovative, low-maintenance fabric for hard-to-reach awnings. The outdoor fabric features a photoactive component that is fueled by UV light, which produces a natural cleaning mechanism. The fabric's beautiful solid green pattern will always appear like new, even when confronted with mildew, mold, oils, grime, and more. Forest Green is a blend of high-quality performance and incredible durability. The fabric is best-suited for residential and commercial awnings, window awnings, canopies, and other fixed-frame structures. It is mildew resistant, heat-sealable with seam seal tape, and water repellent.